So I've been on a self-imposed shopping ban for the last few weeks, but that doesn't mean I haven't acquired a few new things to show you! I have been using Herbal Essences 2-in-1 for years. But recently my hairs been getting itchy, and greasy. 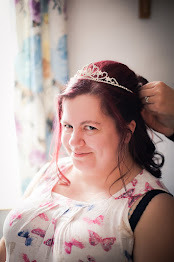 On the advice of my mother, I bought some anti-dandruff 2-in-1 from the Avon range, and my hair looked, and felt, wonderful. 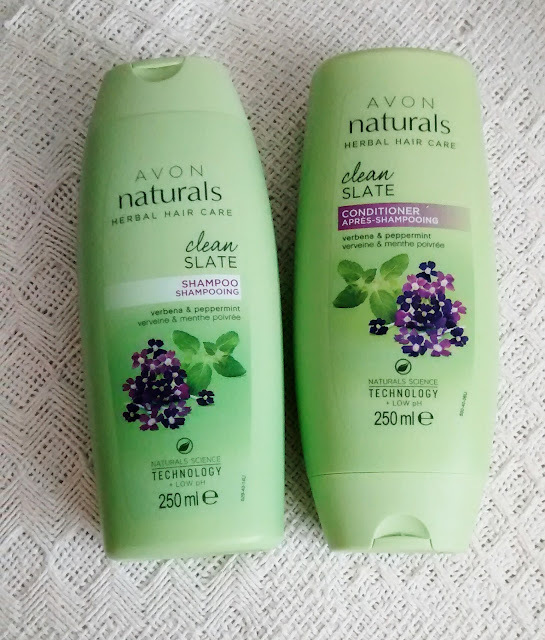 Now I no longer need the anti-dandruff, I've bought this; verbana and peppermint. 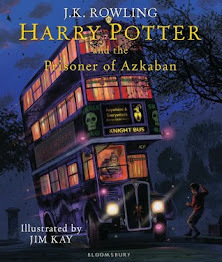 Hopefully it will be as good as it sounds! Both the handbag and purse come from Debenhams. My mum bought me the handbag, and because I had to have a purse to go with it, I bought the purse. 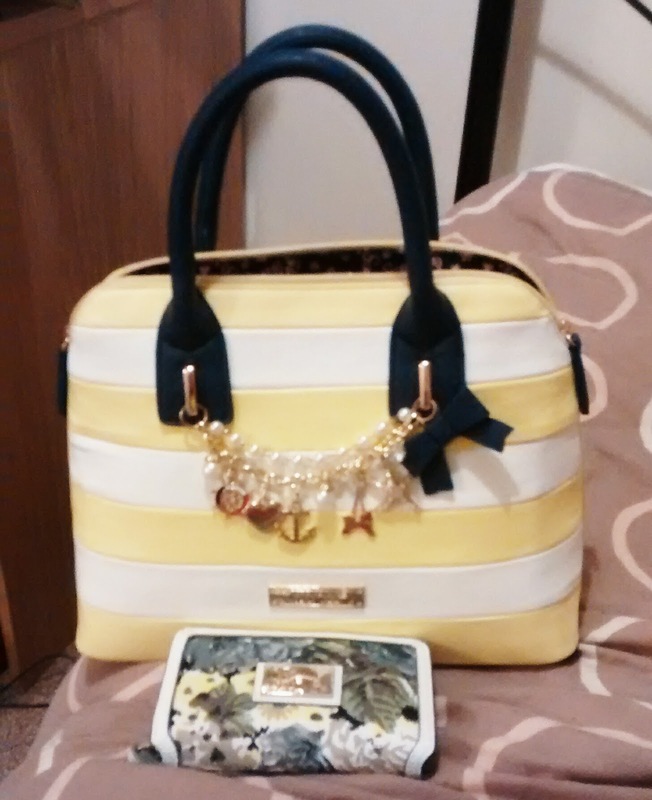 The bag was reduced to £17.50 from £35.00, and the purse was 20% off, a bargain at £17.60! 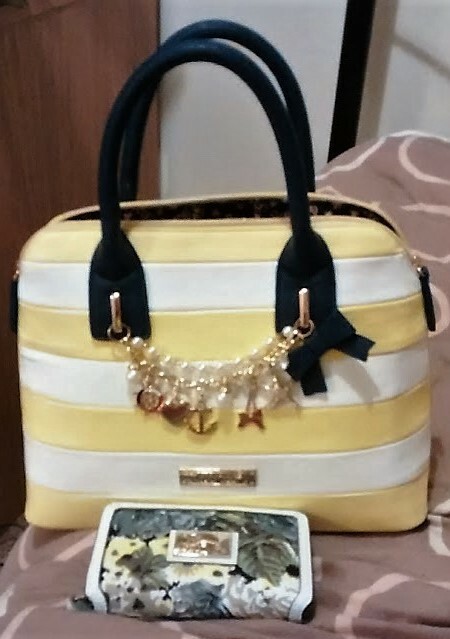 I love my handbags, as you'll find out in my next favourites post, and this one is very appropriate for summer with its lemon stripes! 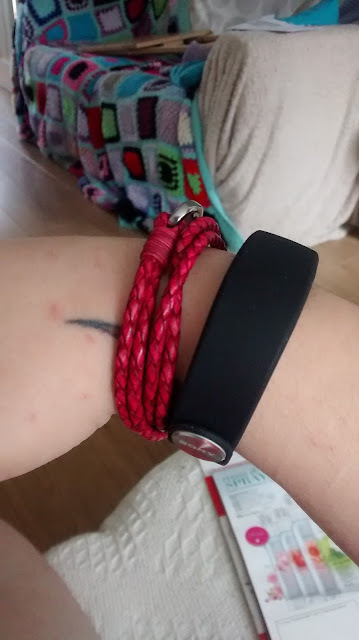 I acquired the first, the SmartBand, by accident. My boyfriend bought it using his O2 priority offer, which made it just £20. But when he didn't get on with it, for reasons I'm still not clear on, he put it on my wrist and now he's not getting it back! He doesn't mind though. And the Tribal Bracelet? Another gift from my lovely, and generous, mother! Readers of previous 'haul' posts will know I have rather a large collection of Blue Nosed Friends. And I keep saying I haven't any room for more, but when I saw these two, I had to have them! But I only had enough money on me for one. 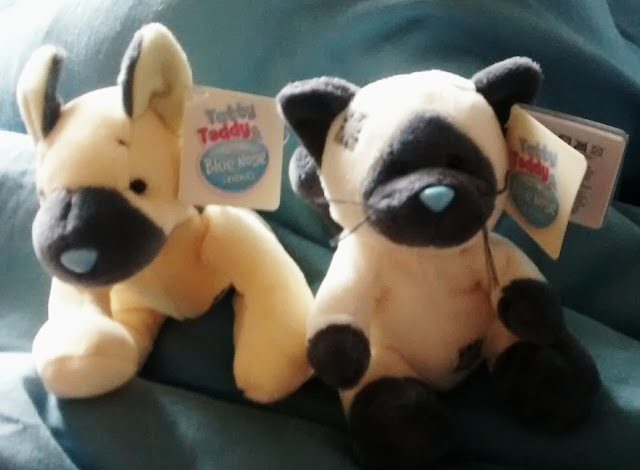 In the end, my boyfriends mum bought me Claudia, the Siamese cat, and I bought Bobbi, the German Shepherd. 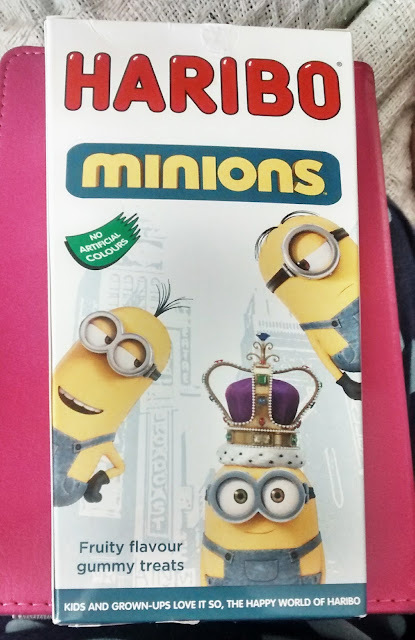 Another little gift from my mum; Haribo Minions! I'm not usually a fan of sweets, but these are gorgeous and I ate the whole lot over two nights! Delicious! For someone who has been on a self-imposed shopping ban, I've done pretty well all in all! Thats all from me this week, I'll be back Monday with a post all about tea! Till then, have a good weekend lovelies. I want that yellow bag so much! I've been eyeing it up for months!